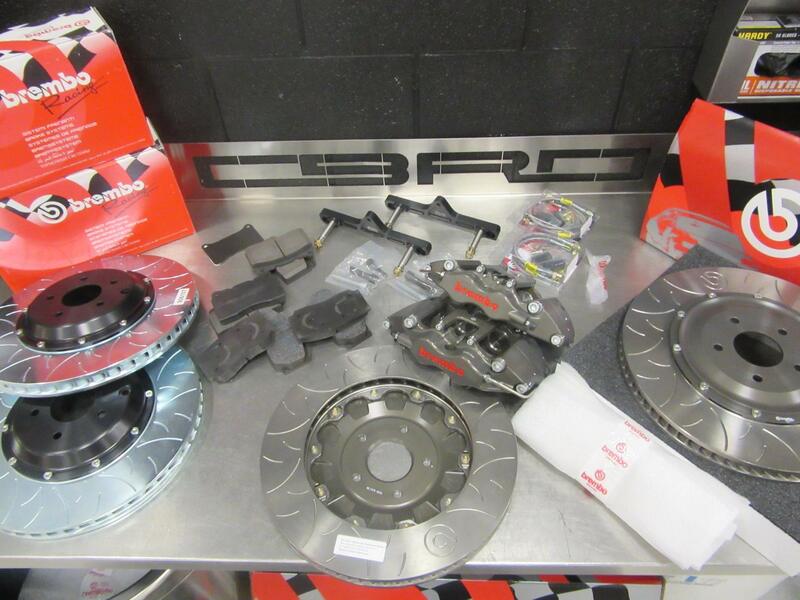 New Brembo Racing system for the CBRD Speed Factory Nissan GT-R (R35). This is a direct replacement for the front Brembo O.E. (Original Equipment) system which is already an extremely capable system, but this system is meant for environments with heavy brake demand. sales@racetechnologies.com or call (714) 438-1118. 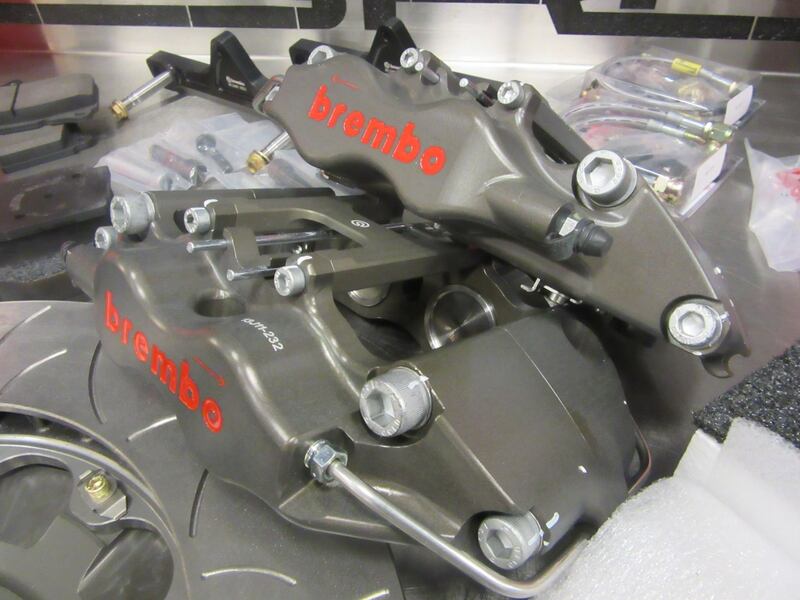 Brembo Racing XB105 calipers have a very low mass and overall weight while improving braking performance (the slimmer profile is optimal for wheel fitment). 4-piston billet caliper, and removable stiffening bridge for fast pad changes (25mm pad vs. 18.5mm which increases thermal resistance). The thicker 25mm pad vs. 18.5mm OE pad increases thermal resistance (thermal barrrier) and also helps with overall pad life. 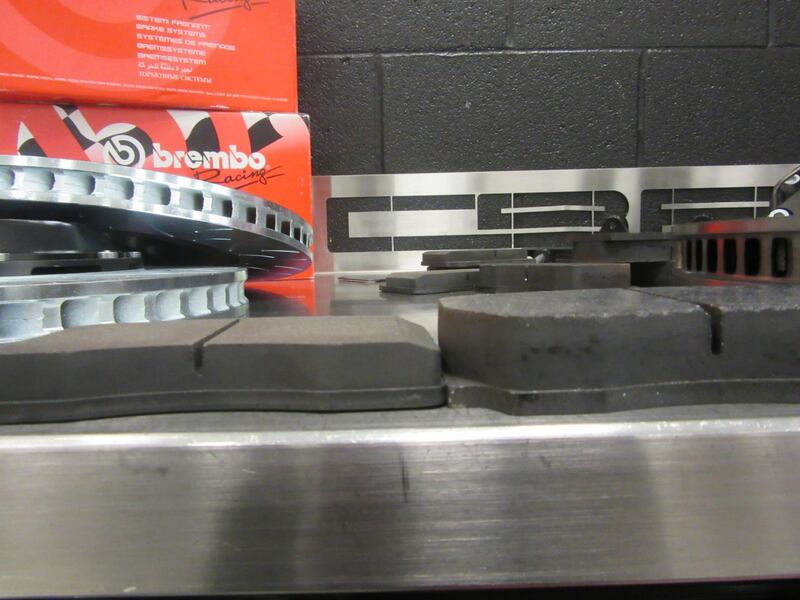 4-piston billet caliper, 25mm pad vs. 18.5mm (increased thermal resistance), with 2-piece, 380×34 type 3’s that fit the *OE wheels. The rear utilizes the stock calipers.